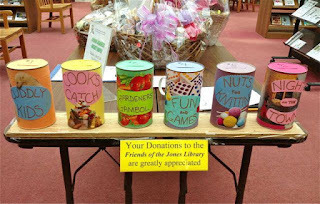 Friends of the Jones Library System News: Baskets, Books, and Chocolate! Oh my! The Friends of the Jones Library's annual “Baskets, Books, and Chocolate” fundraiser is getting a makeover. This year, the Friends have created six elegant baskets, each with a different theme. YOU have a chance to win the baskets through a raffle. Raffle tickets are currently on sale at the library for the low, low price of just $5.00 each or $20.00 for five. A veritable steal! The fundraising effort will culminate with a delicious wine tasting on Saturday, March 23 from 3-5pm, in the Woodbury Room. Lovely wines and light hors d'oeuvres will be served and winning raffle tickets will be drawn. Come mingle with your friends, tempt your palate, and maybe, just maybe, win a BASKET! All baskets are chock-full of gift certificates from local businesses, books, gifts of the theme, and, natch, chocolate. 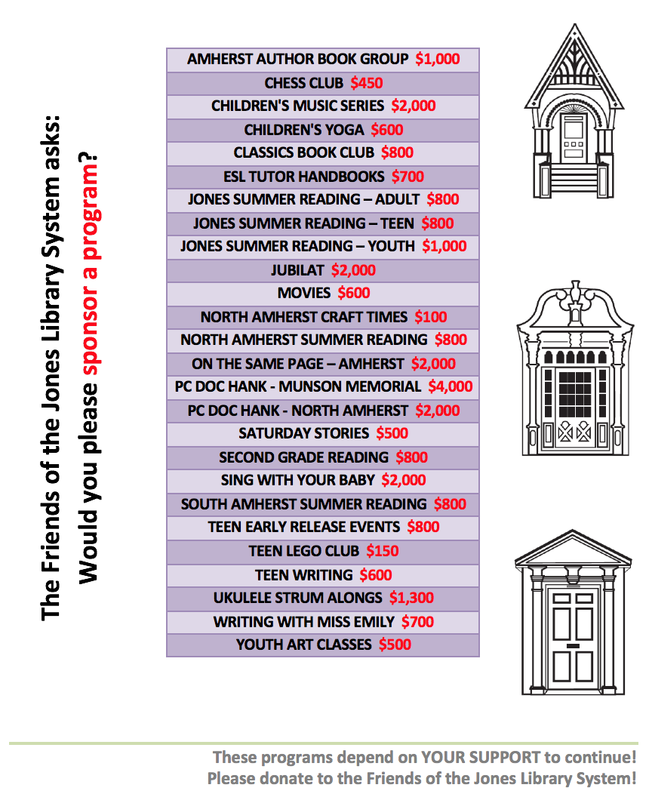 Proceeds will benefit the Jones Library, including their wonderful summer reading club, a program serving over 300 students each summer that keeps children reading and coming to the library throughout the summer.